Generally accepted accounting principles, or GAAP, encompass the rules, practices, and procedures that define the proper execution of accounting. It is important to note that this definition is quite broad, taking in more than just the specific rules issued by standard setters. It encompasses the long-standing methodologies and assumptions that have become engrained within the profession through years of thought and development. Collectively, GAAP form the foundation of accounting by providing comprehensive guidance and a framework for addressing most accounting issues. The Financial Accounting Standards Board (FASB) has been the primary U.S. accounting rule maker since the early 1970s. The FASB maintains an excellent website at FASB.org. There one can find information on all Accounting Standard Updates (ASU), as well as numerous helpful videos and news releases related to developments in financial reporting. The FASB is a large organization with the board being supported by a large staff and special groups. These groups include the Emerging Issues Task Force (EITF) and Private Company Council (PCC). The latter is charged with simplifying accounting rules generally applicable to companies without large groups of “public” shareholders. 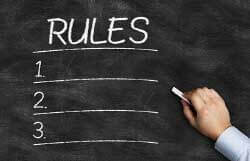 Prior to the FASB’s creation, rules were set by the Accounting Principles Board (APB). The APB was created in 1959 by the American Institute of Certified Public Accountants (AICPA). The AICPA is a large association of professional accountants who seek to advance the practice of accounting. Before 1959, the duty of standard development fell on the shoulders of an AICPA committee known as the Committee on Accounting Procedure (CAP). The many rulings of the FASB and its predecessors are updated and codified in an online database called the Accounting Standards Codification. This collection provides a research tool that is deemed to be the primary authoritative source and reference guide on accounting standards. The International Accounting Standards Board (IASB) is the global counterpart to the FASB. The standards of the IASB are oftentimes referred to as IFRS (International Financial Reporting Standards). The FASB and IASB are working harmoniously to converge toward a single set of accounting standards. This project is receiving considerable interest from financial institutions, investors, and governmental units around the world. Convergence of accounting standards is seen as an important tool in the facilitation and coordination of international commerce and the global economy. In a 1930s-era effort to bring credibility to capital markets, the U.S. Congress created the Securities and Exchange Commission (SEC). The SEC was charged with the administration of laws that regulate the reporting practices of companies with publicly traded stock. 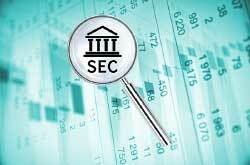 Today, U.S. public companies must register and report to the SEC on a continuing basis. Although the SEC has ultimate authority to set accounting rules, it has elected to operate under a tradition of cooperation and largely defers to the private sector for most specific accounting rules. Note that the auditor is expressing an opinion about the conformity of the financial statements with generally accepted accounting principles. Thus, conformity with GAAP is the key to obtaining the desired audit opinion. Being alert to the detection of potential fraud is important, but it is not the primary mission of a financial statement audit. The U.S. Congress created the Sarbanes-Oxley Act of 2002 (SOX). It imposed stringent financial statement certification requirements on corporate officers, raised the fiduciary duty of corporate boards, imposed systematic ethics awareness, and placed a greater burden on auditors. In addition, Section 404 of the Act requires public companies to implement a robust system of internal control; an independent auditor must issue a separate report on the effectiveness of this control system. The Act also created the Public Company Accounting Oversight Board (PCAOB). The PCAOB is a private-sector, non-profit corporation, charged with overseeing the auditors of public companies. Define generally accepted accounting principles. What bodies are instrumental in the development of GAAP? What body influences the formulation of international accountancy? What is the nature of an audit report? What government entity oversees the audit profession?